Women entrepreneurs are increasingly recognized across the world for the success of their businesses and for their important contributions to their countries economic well-being. A growing body of research indicates that women’s economic empowerment is positively correlated with improved family welfare and nutrition, higher education levels for girls, and improved economic growth for the society as a whole. Yet, the African continent contributes less than 2 percent of global income, and as a result, most of its citizens remain mired in poverty. The incidence of poverty among women is particularly marked in sub-Saharan African countries where women often encounter more obstacles in starting and sustaining businesses as traditional restrictions on women’s property rights and weak governance limit the economic participation of women. At the same time, their contribution to economic activity and development is very substantial, especially in agriculture. Dr. Victoria Kisyombe, founder of SELFINA. The consequences of weak property rights are clearest in the termination of marriage. 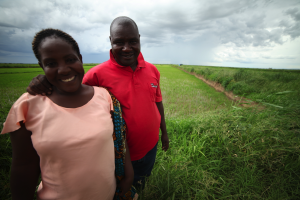 In the event of divorce or widowhood, women in most African countries are often stripped of the right to use their husband’s land — which they may have tended for years — thus losing their main source of income. Finding herself in precisely these conditions and circumstances upon the death of her husband, Dr. Victoria Kisyombe, a country veterinarian, was motivated to create and launch a business to provide women entrepreneurs, specifically micro-entrepreneurs in rural areas of Tanzania, with the financial support they needed to create and sustain business.SERO Lease and Finance Limited (SELFINA) is an indigenous enterprise in Tanzania created by Dr. Victoria Kisyombe and was born out of a need to overcome the barriers that social norms and customary law often impose on women entrepreneurs in this East African country. Her personal experience opened her eyes to a new horizon — that of widows left without land or significant assets. She soon offered her business services to all women entrepreneurs, not only widows. 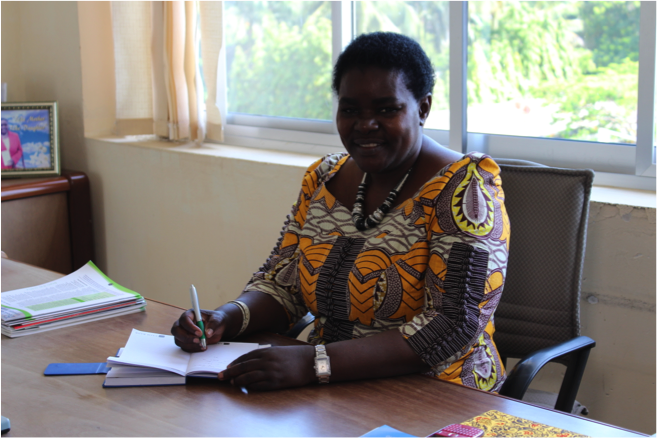 The challenge is access to finance, simply because women don’t own property, said Jacqueline Maleko, co-founder of the Tanzania Women’s Chamber of Commerce. They’re supposed to provide collateral, but due to social and cultural norms and values of African societies, most of the time women don’t own such properties. So, this becomes a big challenge in accessing finance. SELFINA was incorporated in April 2002 as an indigenous Micro-Finance Institution (MFI) to assist women in building a solid economic base for themselves. In the process, SELFINA recognized the difficulty women had in repaying loans, yet their productivity increased when leased an essential piece of equipment for their enterprise. SELFINA has addressed their challenges by pioneering micro-leasing as an effective and practical way to get around the problem of lack of collateral and increase access to finance for women. At the inception of SELFINA, Kisyombe knew not to overstretch its operations. As managing director of the company, she brought in experts in women’s advocacy, law, accounting and finance as her staff. Together they developed a rigorous framework with specific metrics to assess applicants, estimate the monthly payments they would be able to meet and thus determine the maximum size of each contract. SELFINA also entered a wide variety of industries tailored to a diverse set of women entrepreneurs, including cooling, machinery, transportation and livestock. A husband joins his wife’s enterprise of rice farming near Mbeya, Tanzania. The business plan worked, and SELFINA became a huge success. Moreover, that success had a multiplying effect. With more women repaying their leases, institutions were more willing to provide money for SELFINA — and the more money SELFINA had, the more it was able to lend. At the end of the lease period the woman can buy the equipment or return it for new or different equipment more suitable for her growing business. From just a few dozen clients in 2002, SELFINA was financing more than 200 in 2004. And then, in less than five years, between 2004 and 2009, SELFINA grew its client base from approximately 200 contracts to more than 16,000. SELFINA seems to have delivered exactly what a successful new financial product is supposed to deliver — allowing people to acquire, or in this case borrow, equipment essential to their business plan that they would not have had access to otherwise. It has given women and widows in particular a chance to be economically viable while also realizing a dream of entrepreneurship and self-sufficiency. But beyond this, the staff of SELFINA show caring and compassion for the clients, taking every opportunity to coach them towards success. SELFINA wants to bring about not only economic change but also social change. It wants women who have long suffered as second-class citizens to be allowed to make a better quality life for themselves and their children. In turn their empowerment can build healthy families, a dynamic community and a stronger nation. To learn more about SELFINA and the work that they do, please visit www.selfina.com.